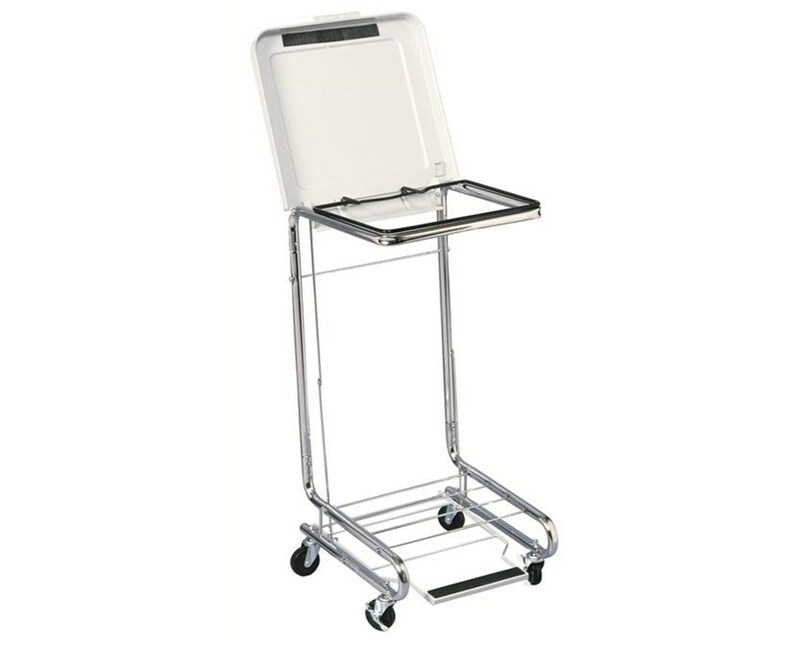 The Brewer 11410 Tilt-Top Medical Hamper Stand features a gray epoxy coated steel lid with an open design hamper for easy unloading and minimal lifting. A steel prop is used for keeping the lid open. The built-in bag holder is designed for heavy-duty bag support. 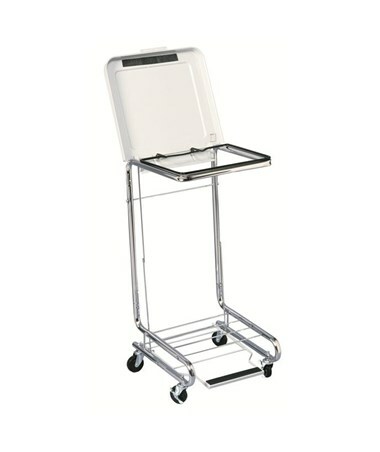 It feature a durable chrome-plated steel frame and 3" locking rubber wheel, ball-bearing casters. All Brewer hamper stands come with a 5-year warranty.